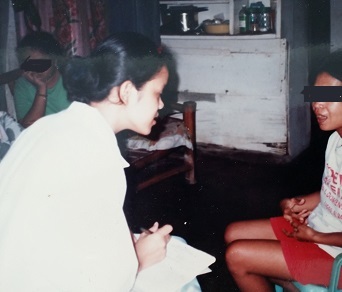 During my college years, part of my Community Nursing activities was conducting health teaching and providing Nursing Care to families in selected slum areas. Part of the questionnaire was knowing their daily meal. Most families had less than P100 budget for food per day. Usually allocated for rice and a can of sardines. They have to feed a household with five members. When I asked about the kid's milk, it's not a surprise anymore that many of them cannot afford to include milk formula for their kids. It breaks my heart when I found out they gave coffee instead of milk. I don't grew up drinking milk but today I'm trying to consume even half or one-fourth glass before bed time or when I feel like drinking. Even if I wanted to, I can't because my tummy feels uncomfortable. I don't know if I can call it lactose intolerance. I am trying because I know it's one of the nutritious drink our body needs. Then, I married a man who grew up drinking milk. He shares childhood stories of these huge cans of milk powder his ama (grandma in Chinese) bought for him. He is the only guy I know drinking milk instead of the usual coffee. For breakfast he loves oat meal of course with milk. Preparing his breakfast everyday, somehow I was influenced by his healthy habits. A bottle of fresh milk has been part of my grocery list. I can finish a small cup of fresh milk in the afternoon to avoid feeling bloated before going to the bed. I know it's not yet too late for me to include drinking milk everyday in my diet. There are many benefits of drinking milk. For women, it helps prevent bone loss because it's rich with calcium and vitamins. Milk also improves the immune system. But how do we make more people drink meal and make it part of their diet. 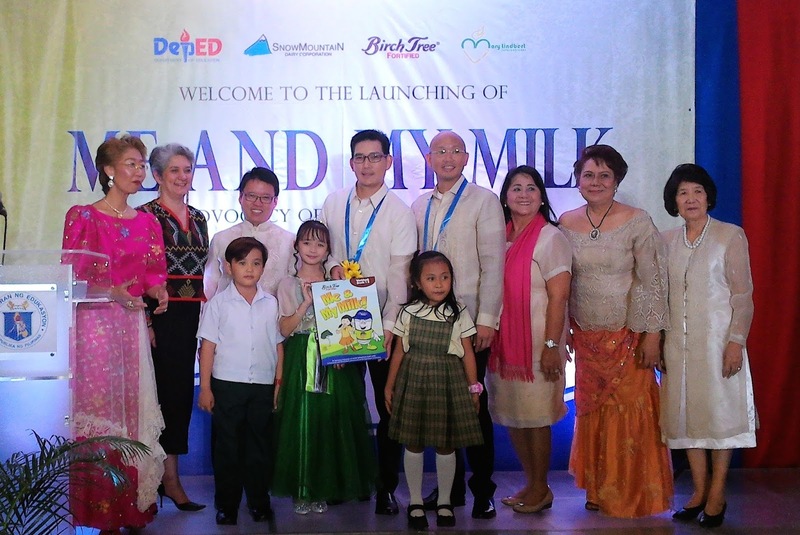 About last week, I was invited to the launch of the advocacy entitled “Me and My Milk” wherein Birch Tree Fortified has entered into a partnership with the Department of Education and Marylindbert International. The program aims to encourage school age kids to regularly drink milk at home and even in school, through innovative education programs, learning materials and activities. “Dairy per capita consumption in the Philippines is still low compared with other Asian countries. What better way to encourage milk drinking habit in the country than partnering with the Department of Education” said Edwin Africa, Vice President and General Manager of Snow Mountain Dairy Corp. I'm happy that the campaign will focus on many regions in the country linking the National Capital Region (NCR), Central Luzon (Region 3), Calabarzon (Region 4A) and Ilocos Region (Region 1). The success of this campaign will benefit many school children and families in the community. Kudos to Birch Tree for raising awareness on the importance of drinking milk. Watch out for the Me and My Milk Campaign coming your places. I'm glad that products like Angel Evaporada, Angel Kremdensada, Home Price Sinigang Mix and Kaffe de Oro Coffee like Birch Tree are products of Century Pacific Food Inc. I've been using Angel Kremdensada in making fruit salad and Angel Evaporada for champorado and coffee. While Kaffe de Oro used to be one of my favorite coffee mix. These products will benefit families with small income. Indeed, Birch Tree is everybody's milk.